Jennifer Hyman considers herself an amateur sociologist. She grew up in the suburbs of New York City and found herself driven by community issues. When she left for college at Harvard University, she turned her passion into a social studies major. After a few years working for Starwood Hotels and Resorts, WeddingChannel, and the media and entertainment giant IMG, Hyman returned to Harvard for an MBA. On semester’s break, she had an idea: why not democratize the luxury industry for women? She shared the idea with a friend, Jennifer Fleiss, and Rent the Runway was born. Mary is a a Paleo Chef & Lifestyle Coach. Her mission is to make simple eating real food and enjoying a great life. One where your health, outlook and performance are all functioning at their highest levels. Her clients include professional athletes, best selling authors, celebrity chefs, reality show starts and high powered executives. Kathlyn host a weekly podcast where you can hear from Big-Dreaming, Badass women who made the leap into starting their own businesses. She is on a mission to support the next generation of female leaders to own their worth and step into their power. Erin is a self-taught iOS and Rails engineer who founded Spitfire Athlete, a strength-training app that empowers you to achieve greatness. Erin is a 48kg weightlifter, serial entrepreneur and hustler. In her spare time, she organizes the San Francisco Women Who Lift Weights Meetup. She studied economics and math at Stanford. Blonde Amazon is a blog, jewelry boutique shop and community for makers. Through her blog, Erin offers women's fashion clothing and accessories. Erin Dodd, a seasoned veteran in fashion, design, marketing, and influencer programs. 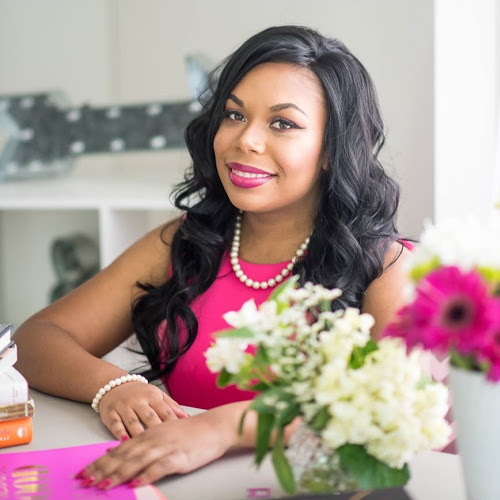 With over 10 years of experience working with big box retailers, small businesses, and, startups she wanted to build a community of her own to share her experiences and help others grow. Jeni makes some of the most amazing ice cream flavors we've ever heard (Gooey Butter Cake, Thai Curry Pumpkin, and Riesling Poached Pear Sorbet just to name a few). While you may not be thrilled yourself having eaten an entire pint in one sitting, that's as far as your guilt will go because as a Certified B Corporation, Jeni's Ice Cream "meets rigorous standards of social and environmental performance, accountability, and transparency." So Sasha is a well balanced lifestyle blog which covers Sasha’s daily musings and let’s her share her tips, tricks and everything that inspires her in fashion, beauty, fitness, food, art, design, health and wellness with other women. Located in the North Beach neighborhood of San Francisco, Bodega serves up delicious, fresh, Instagram worthy dishes and a beautiful yet chill atmosphere. Check out the Bodega Bowl if you're looking for a healthy, deliciously filling lunch. Through the KSM Group, Kyshira created a one stop shop for your branding, digital strategy and career needs. Services include everything from helping you fine tune your resume to monetizing your blog. Tired of the harsh, chemical filled products filling the shelves of beauty stores, Jasmine has created a line of haircare products that features only all natural and locally sourced ingredients (avocados, honey, jasmine butter just to name a few).